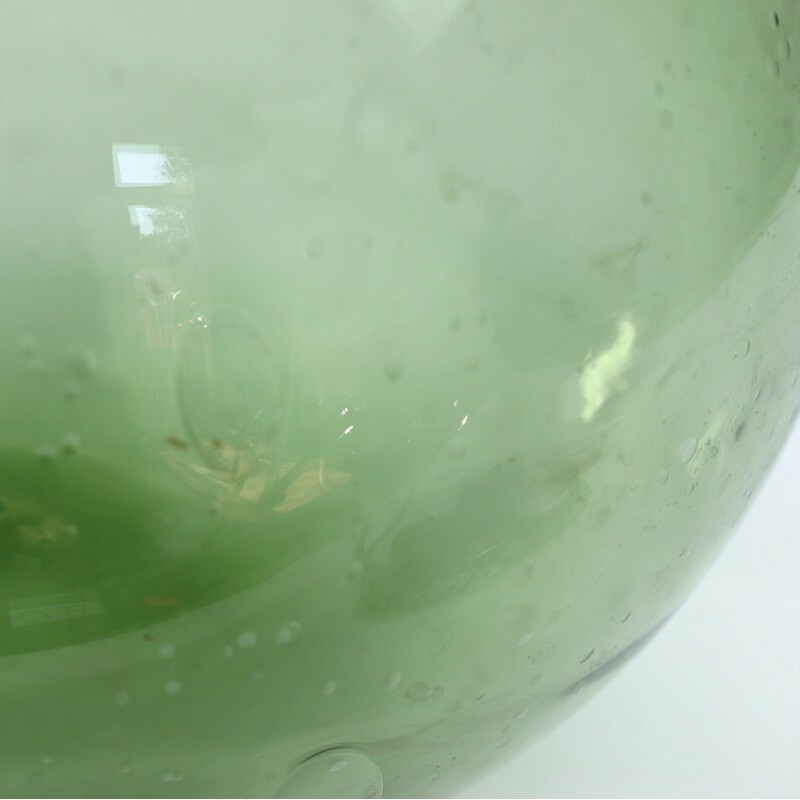 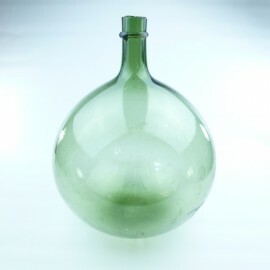 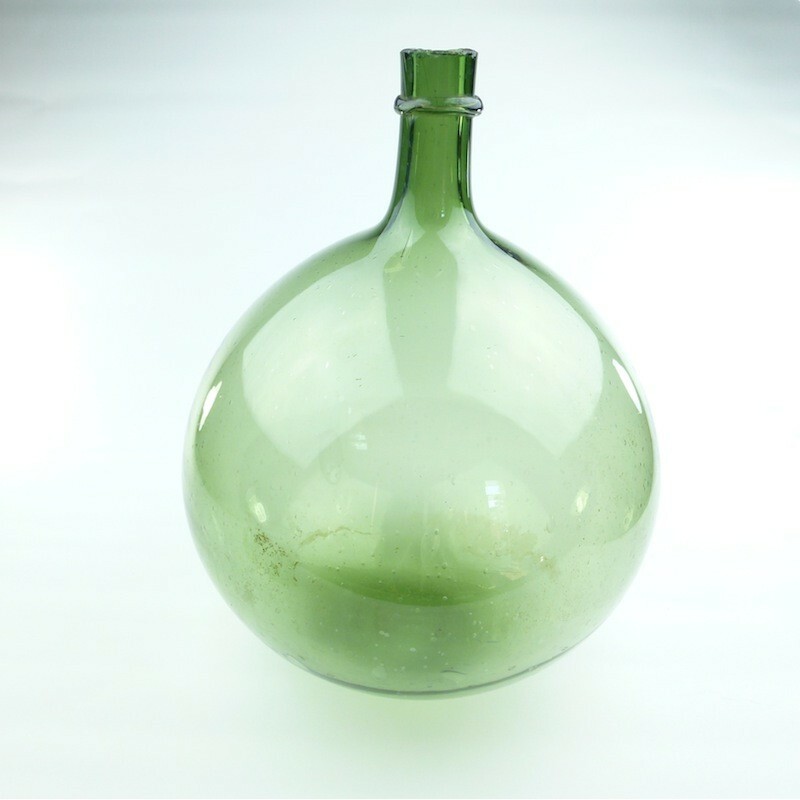 This is a fantastic authentic antique globular green Demijohn, circa 1760-1840. 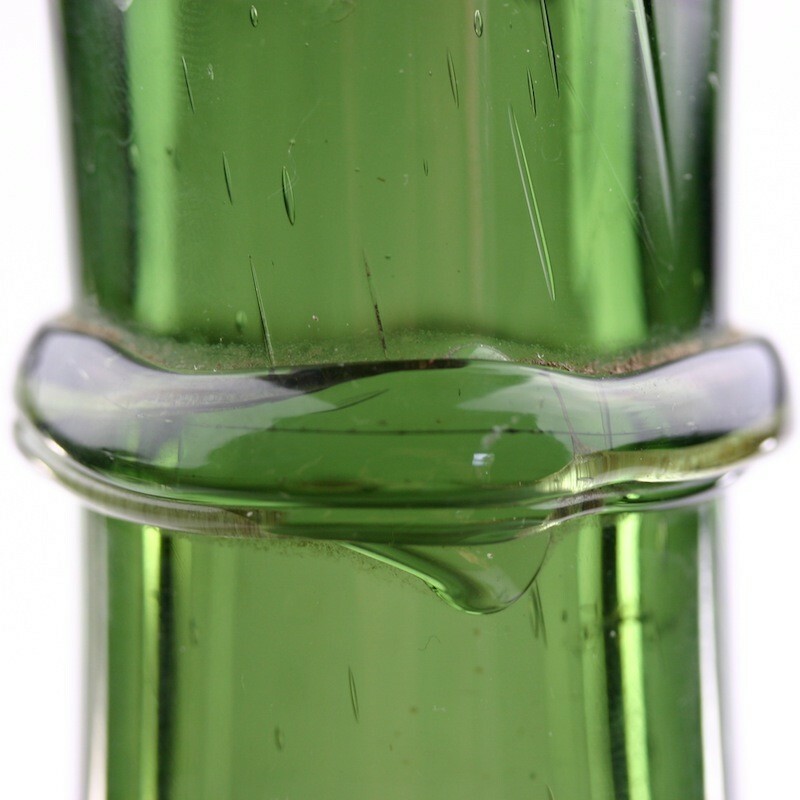 The neck has a hand applied string ring, circling the mouth, and the lip is not smooth showing how it was broken off from the rod after being blown. 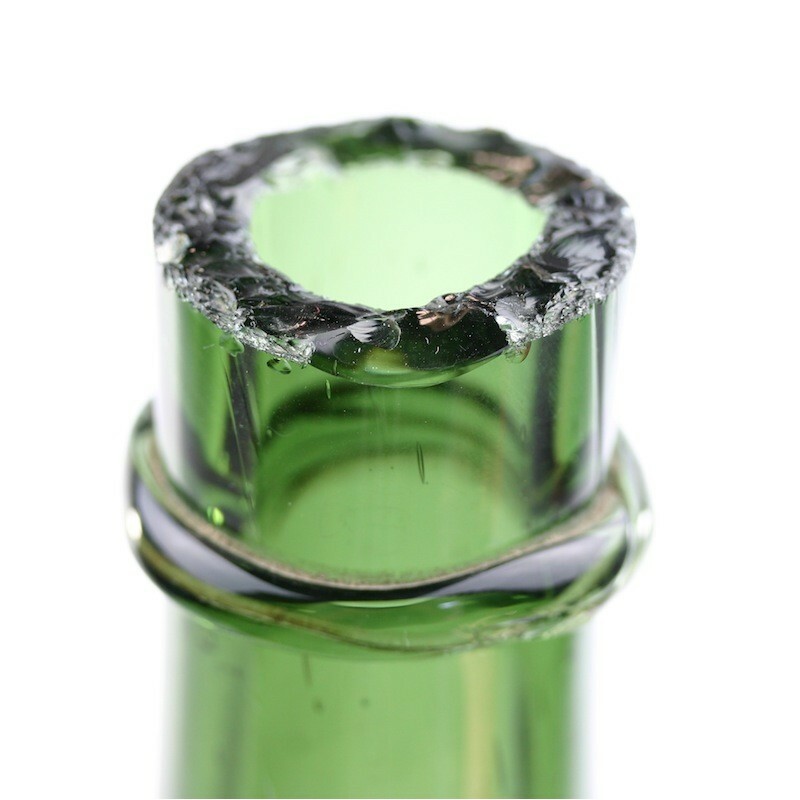 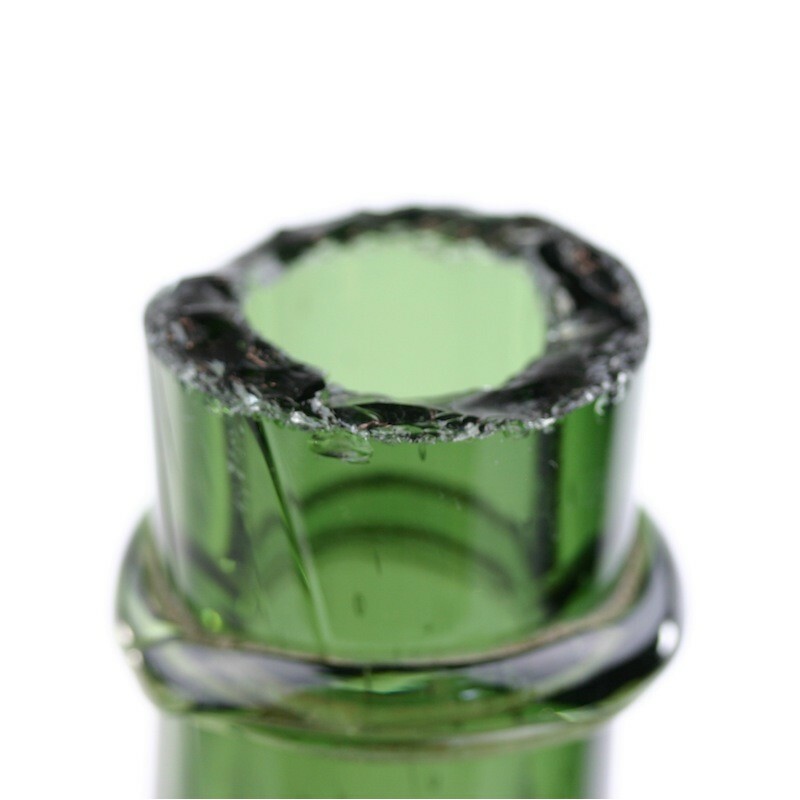 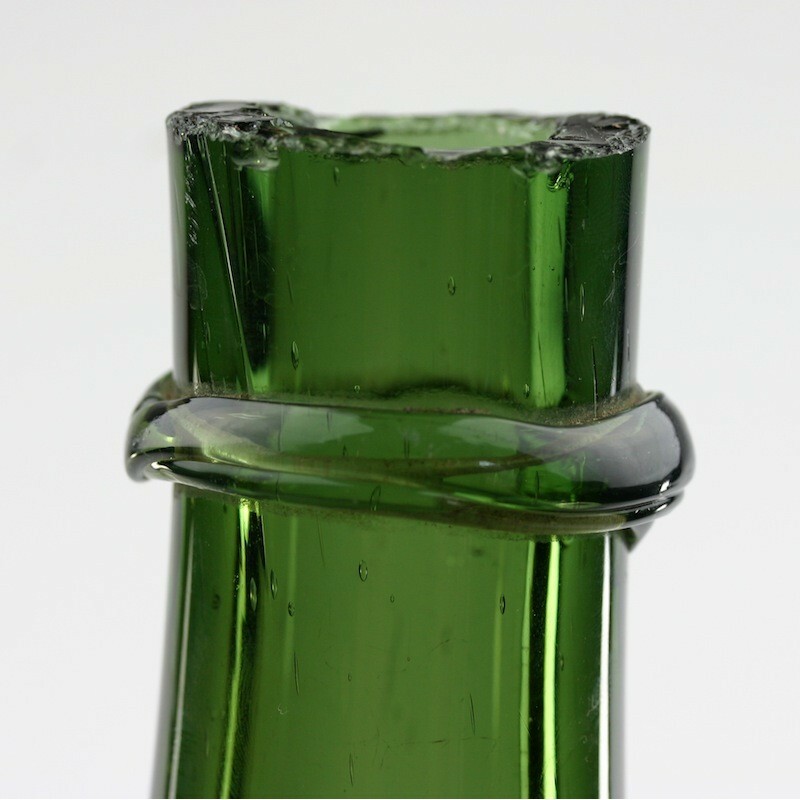 It was hand-blown without mould, no steams, the uneven shape and air bubbles trapped within its surface attest it.